'Home – A VR Spacewalk' is available now for the Oculus Rift and HTC Vive. The BBC is getting serious about VR content production. Today, the broadcaster has released a spacewalk experience and formally announced a VR team that will work with filmers, showrunners and "digital experts" on new pieces. 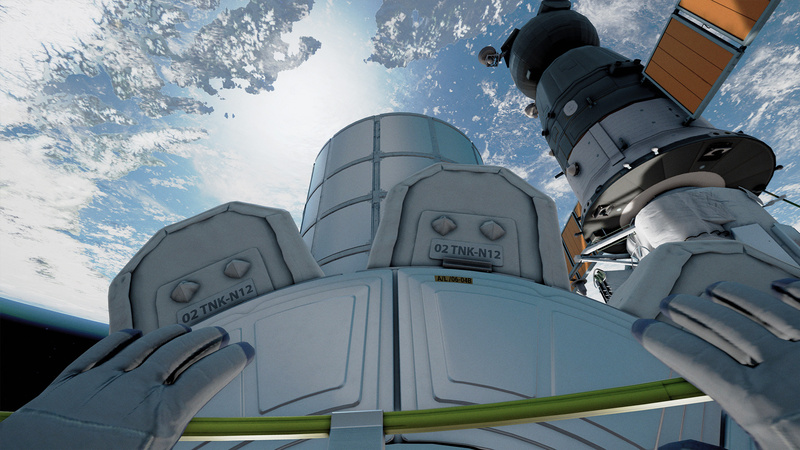 Home — A VR Spacewalk was developed by the BBC and digital production studio Rewind for the HTC Vive and Oculus Rift last year. It's based on NASA and European Space Agency (ESA) training programs — yes, the same ones used by astronaut Tim Peake — and takes you through a repair on the outside of the ISS. It's been shown at various film festivals but hasn't been available to the public before today. The BBC has experimented with VR before. Early projects included We Wait, a story that took you to the heart of a refugee crisis, The Turning Forest, a VR fairy tale for Google Daydream and Samsung Gear VR, and Trafficked, a 360-degree animated film about human trafficking. While impressive, the BBC's efforts have often felt a little disjointed and scattershot. The broadcaster's new team — the VR Hub — will attempt to organise this work and develop experiences with broad, mainstream appeal. They'll be infrequent, however; the BBC says it wants "a small number of high impact pieces" while the VR install base continues to grow.